The Seattle Mariners‘ home will be renamed T-Mobile Park, as the club has announced a 25-year ballpark naming-rights deal with T-Mobile. This agreement begins with the 2019 season and effectively rebrands the former Safeco Field. The partnership is subject to approval by the Washington State Major League Baseball Stadium Public Facilities District (PFD). “T-Mobile has a deep commitment to this community, a passion for customer service and a well-earned reputation as a leader in innovation. 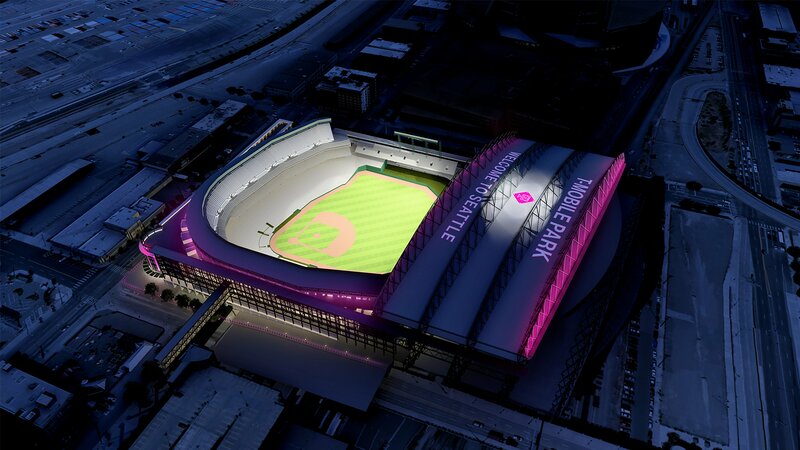 These are the qualities that make T-Mobile the right partner to name this iconic ballpark,” said John Stanton, Seattle Mariners Chairman and Managing Partner. Several distinct tie-ins will be included in the agreement. All fans can get early access to the ballpark on game days via the T-Mobile ‘Pen. This gathering place for fans spans from the bullpens behind Left Field to Center Field. Opening 30 minutes before all other gates, the T-Mobile ‘Pen gives fans the chance to watch Mariners batting practice and pitcher warm ups. And with this partnership, T-Mobile ‘Pen will now feature a variety of new perks including surprise giveaways and a live DJ on select game days, to go with the destination food and beverage offerings. The Un-carrier will also hook up Mariners fans with surprise seat upgrades, and free stuff at Tuesday games as it brings T-Mobile Tuesdays to the ballpark. T-Mobile customers also will get some extra perks including fast-track entry, discounted tickets and exclusive offers on merch. The Mariners recently finalized a new 25-year lease with the PFD, the public development authority that owns the ballpark. The agreement obligates the Mariners to pay a minimum of $600 million for ballpark maintenance, operations, capital upgrades and fan improvements over the next 25 years. At the end of the new lease agreement, the total investment of Mariners revenues into the publicly owned ballpark since 1999 will add up to over $1 billion. 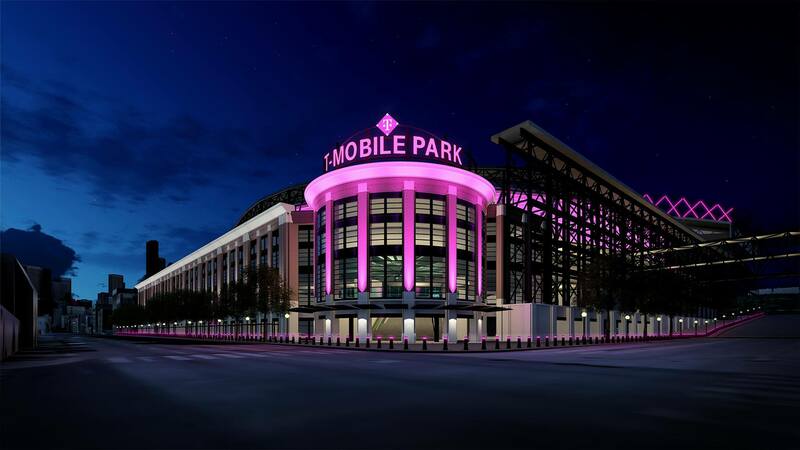 The process of incorporating the T-Mobile branding assets throughout the ballpark will take place over the coming months. Much of it is expected to be completed by Opening Day on March 28, 2019, when the Mariners meet the Boston Red Sox. 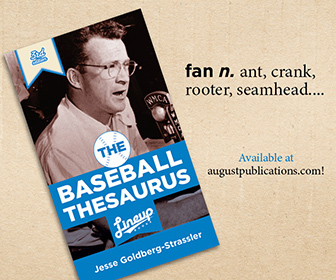 Images courtesy Seattle Mariners and T-Mobile.